This entry was written by Sarah Jenkins, posted on 03/28/2011 at 3:47 pm, filed under March 2011 category. Today was our day in the Judean wilderness. 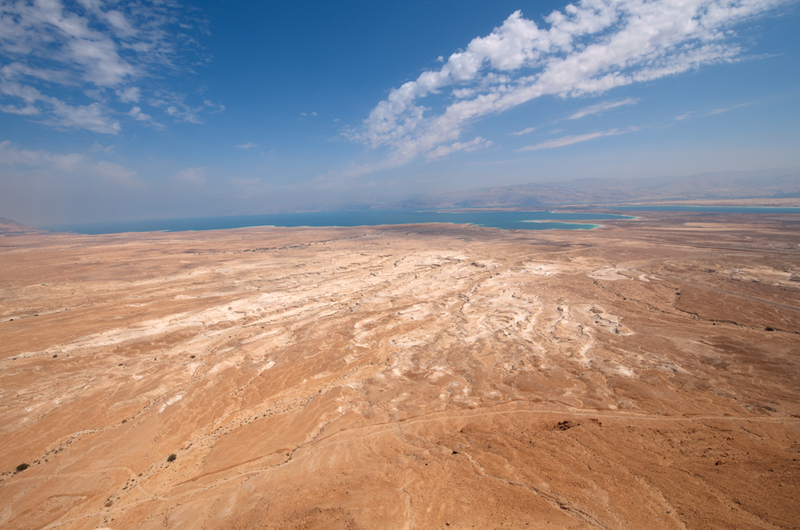 We left the city for the day and journeyed further south to the Negev Desert. 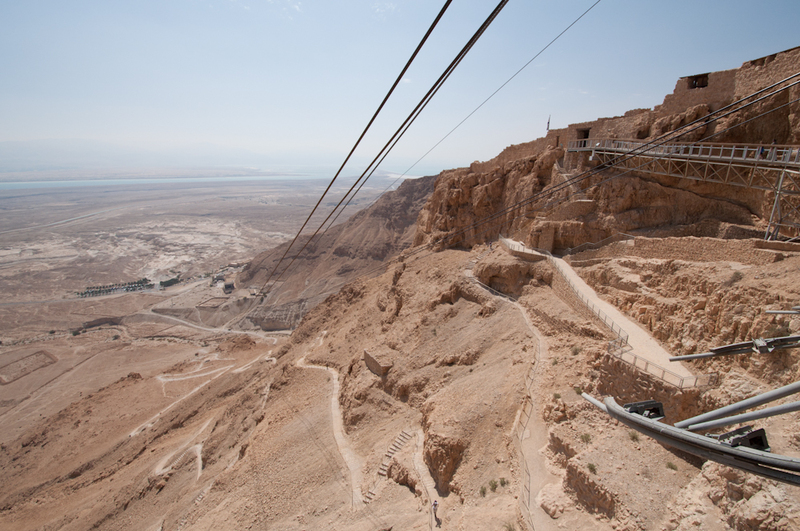 Our first stop for the day is the desert fortress of Masada, which was about an hour and a half away from Jerusalem. Despite the length of the drive, the view was beautiful, and Yuval’s jokes made the ride pass by quickly. 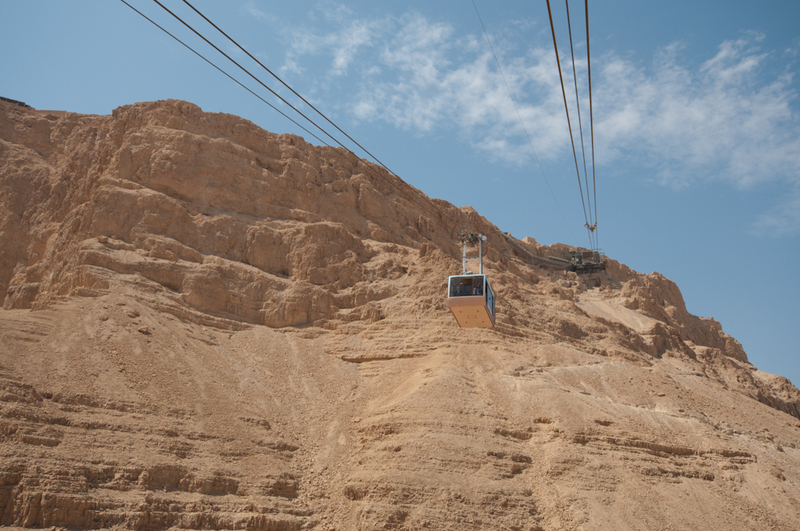 Soon we reached the mountain, and began our ascent by cable car to the summit. From our vantage point in the car, we could see many people choosing to walk the winding “Snake Path” up the huge mountain, which Yuval says takes an hour to walk up but half that time to walk down. 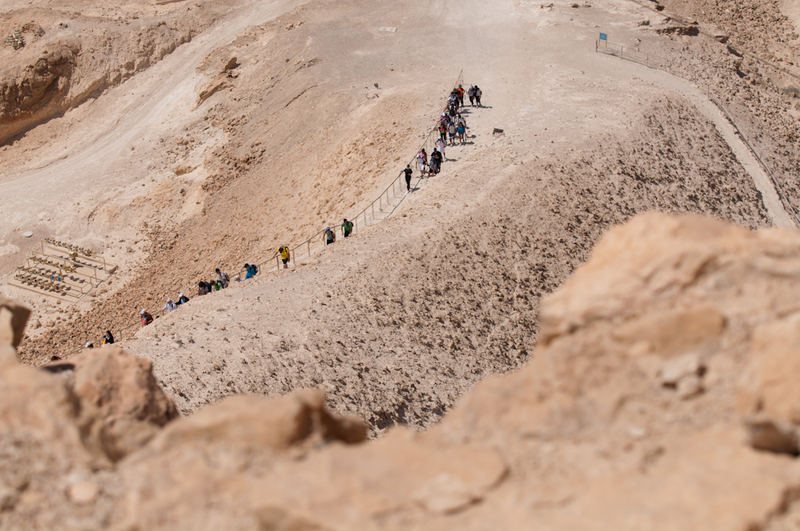 It’s easy to believe, because of how steep the pathway is! Once we reached the top of the mountain, we began to explore the fortress. 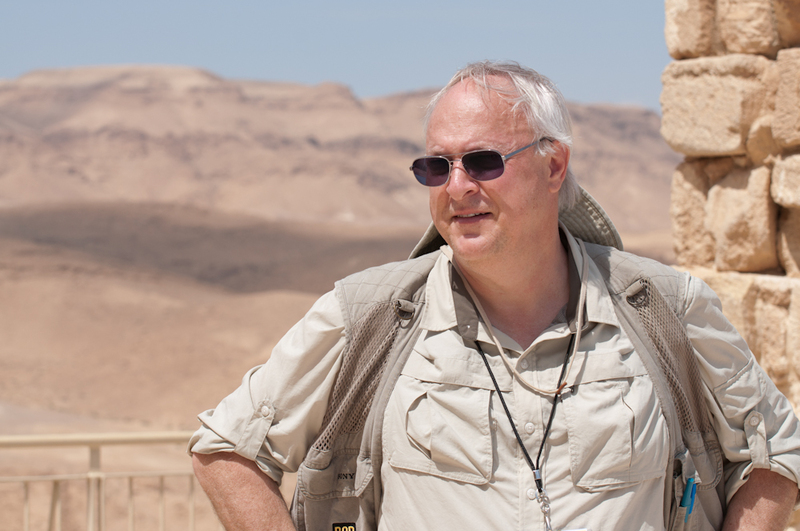 As Yuval explained to us, the fortress was originally built by Herod as a winter palace, but he did not reside there often. 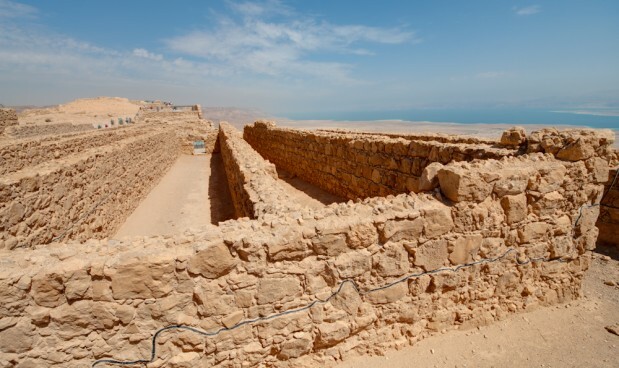 Even so, there were extensive storerooms and cistern structures, most of which remained full when the fortress was abandoned upon Herod’s death. 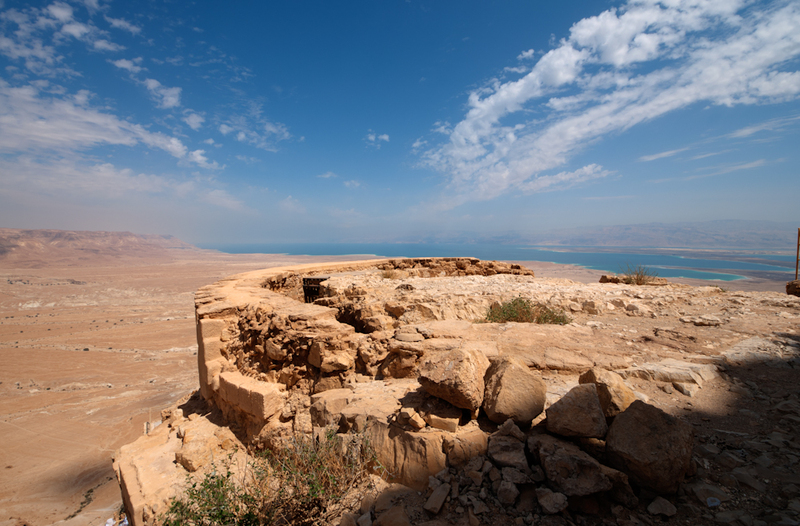 This paved the way for Masada’s true claim to fame around 70AD, when Jerusalem was under siege and the temple being destroyed. 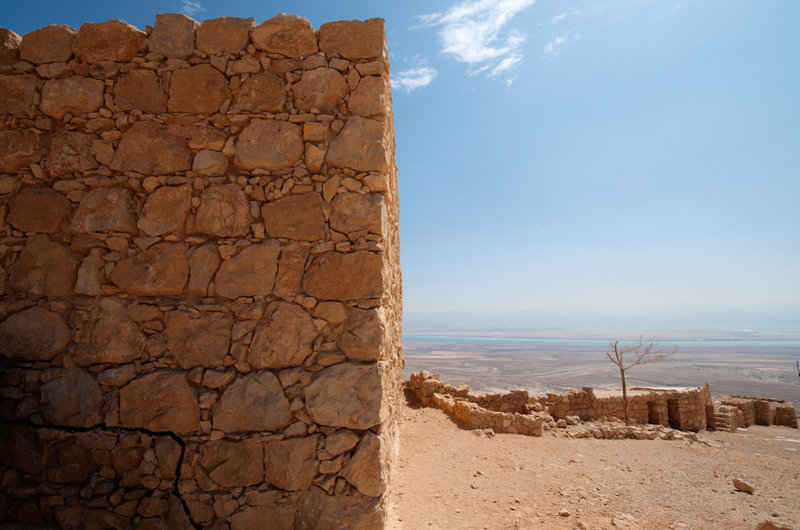 A group of Jewish zealots, some of the last of their kind, retreated to Masada to stave off the advancing Roman army. 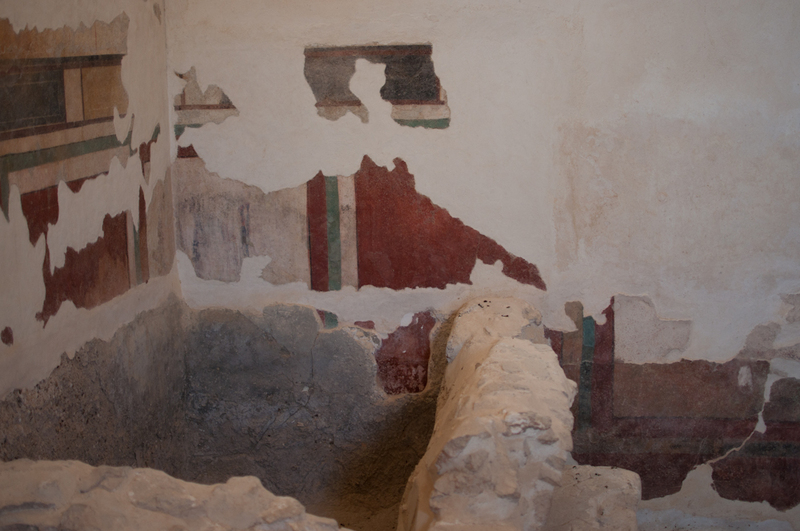 With the storerooms full and the cistern system still functioning, the group of a little under a thousand could have lived for six years without fear of running out of food or water. Sadly, the Romans got there first. The Roman army, intent on wiping out every vestige of Judaism possible, began setting up camp and siege walls. The Jews fended them off as best they could, but it was an impossible struggle. The Romans constructed a siege ramp to the top of the mountain, and brought a huge battering ram up the side of the mountain. 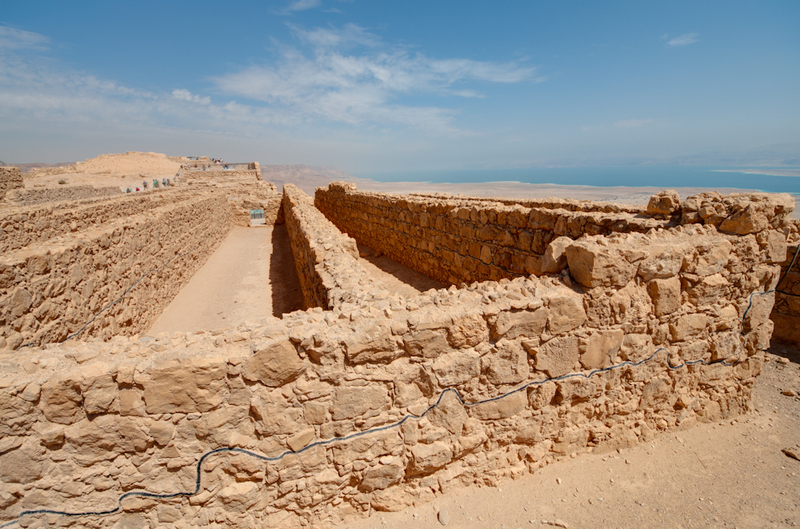 The rebels constructed a second wall, made of wood, to help keep out the Roman army, but eventually it was broken. Triumphantly, the Roman’s retreated down the mountain, content that their victory would be won in the morning. But it was not to be. The leader of the rebels, Eleazar, gave a stirring speech to his comrades, in which he urged them to die free rather than live as slaves, so that their wives would know no abuse, and their children would never taste of slavery. It was decided that each man would kill his own family, and then 10 selected men would kill the rest, and then each other. The fortress was set ablaze, sparing nothing but the storerooms. They would not have it said that they died by nothing except for their own free will. When the Romans stormed the fortress the following morning, all they found were bodies, and smoldering ruins. Only five survivors remained – two women and three children. Their fate remains unknown. 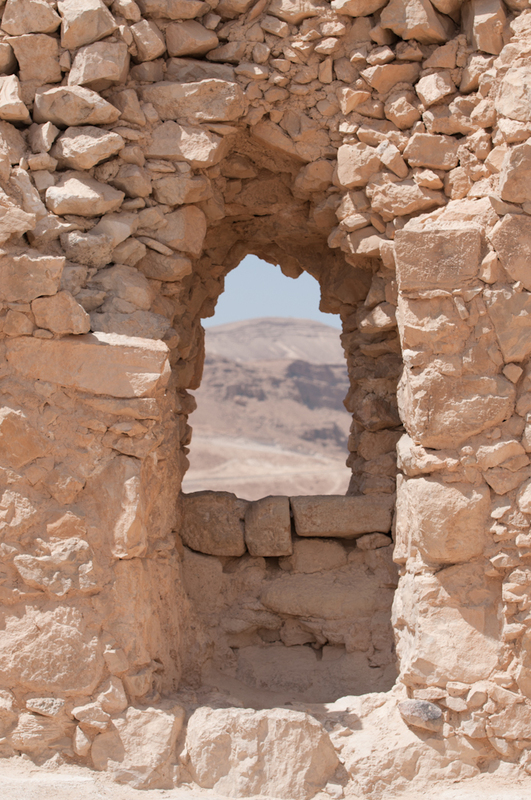 Today, Masada stands as a symbol to the Jewish people that their land should not fall again. School groups and army trainees are taken there, to remind them of their heritage and how important it is to fight for your country. 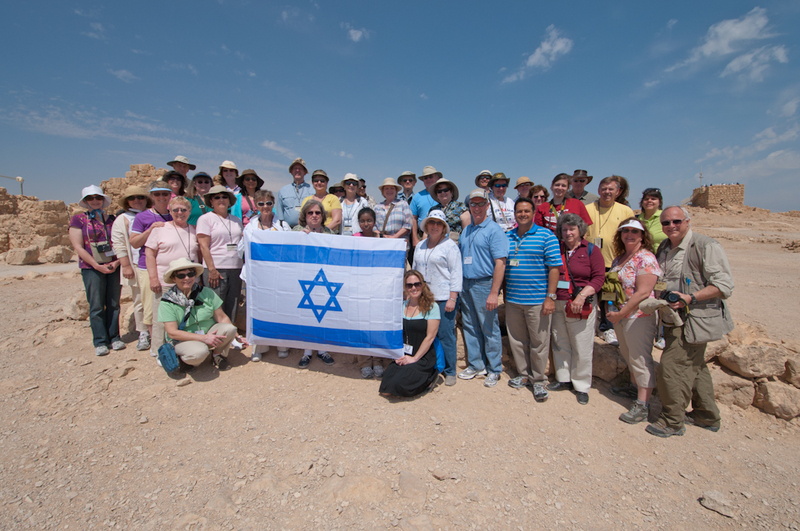 After exploring the ruins, including the synagogue where Eleazar gave his impassioned speech, we snap a quick group photo on the top with the Israeli flag. We made the return journey to the foot of the mountain quickly by cable car, and with enough time to spare to purchase some ice cream. 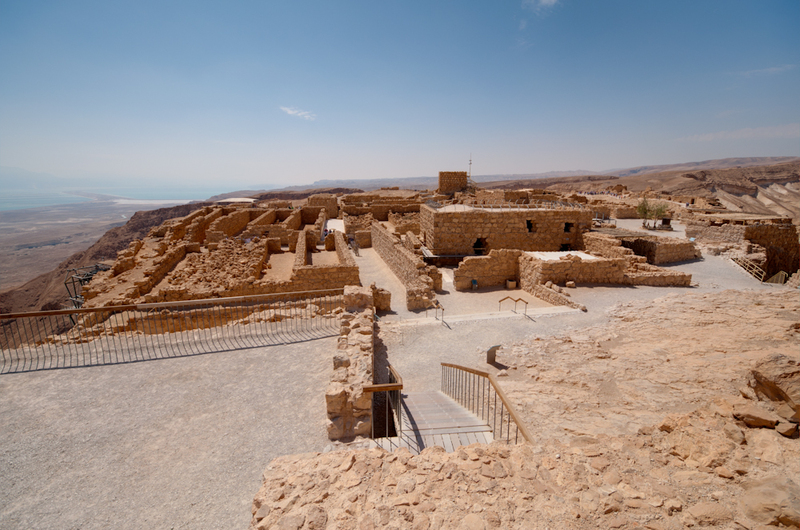 From Masada, we drove just a few minutes away to Qumran, where the Dead Sea scrolls were discovered. 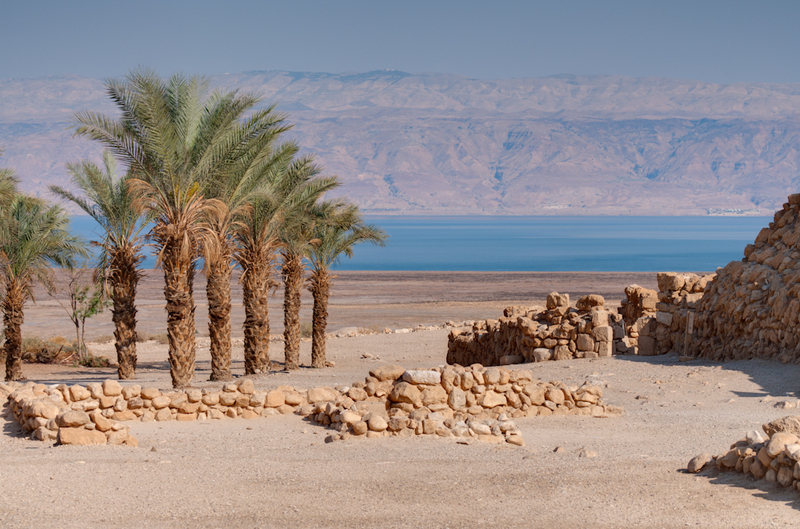 The museum boasts an impressive gift shop, filled with all kinds of Dead Sea products and a restaurant where we grabbed a quick bite to eat before we got down to the serious business of shopping. 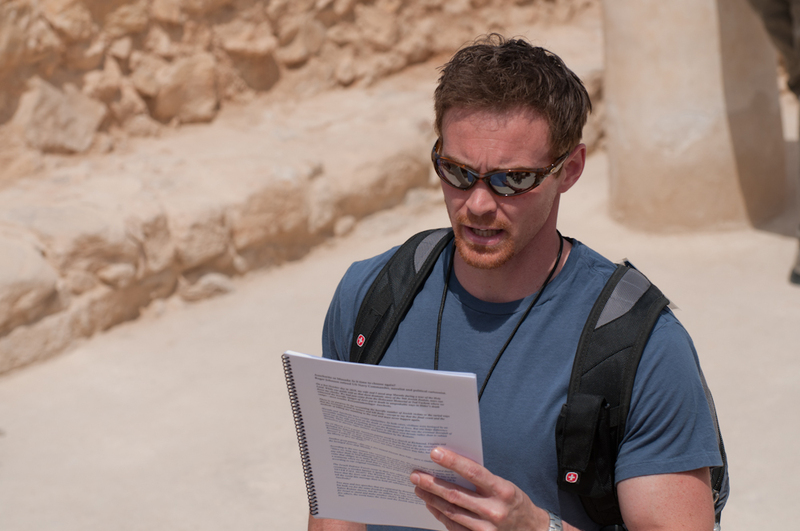 After we had mostly emptied our wallets, we explored the place where the Dead Sea scrolls were found. 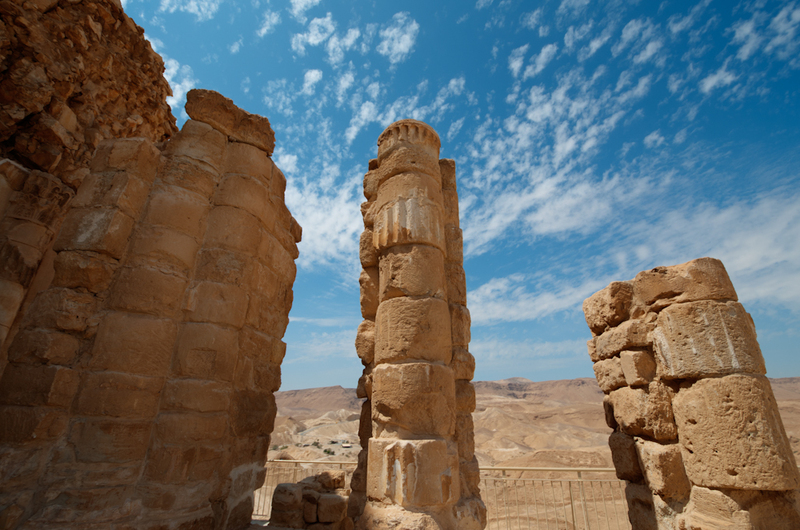 Many ruins remain of Essenes, the people who hid the scrolls in the high caves so long ago. 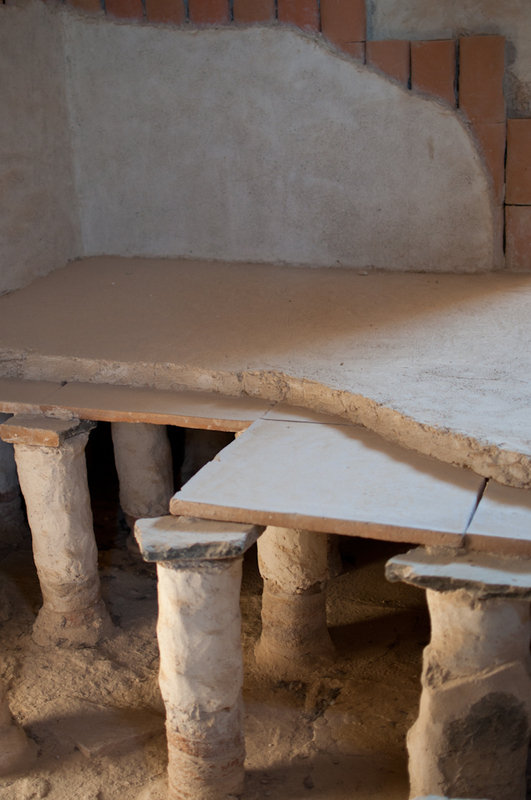 Their migvahs, or ritual baths, are still visible and are mostly intact, as well as their cisterns and their dining hall, where everyone in the community ate together. 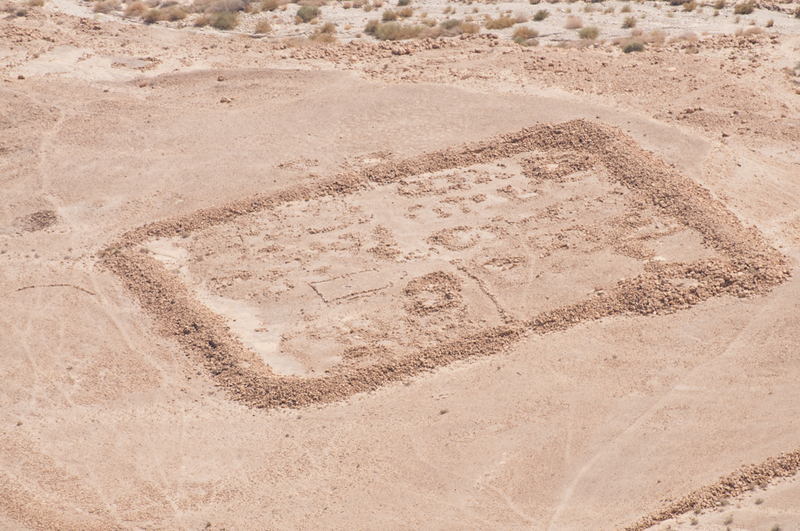 The Essenes were scribes, who lived apart from civilization so as to purify themselves to copy the scriptures better. 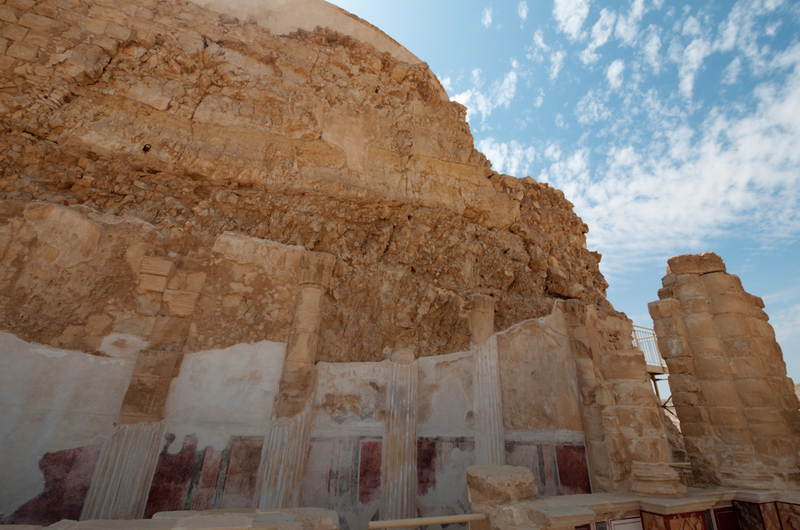 It is speculated that when they received news that the Roman army was approaching, they hid the scrolls in the caves surrounding their community, intending to come back for them. They were unable to return for their most precious work. 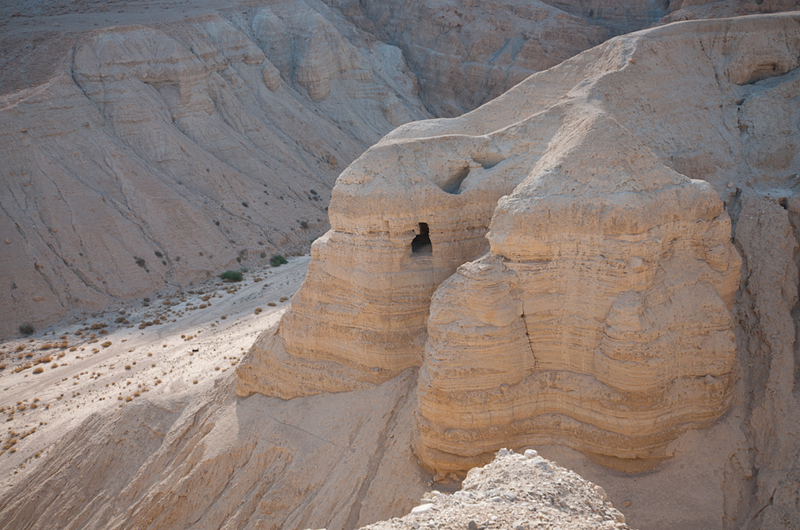 One cave, termed Q4, is readily visible from the pathway and contained over 500 of the almost 1000 scrolls and scroll fragments discovered. What an amazing thing that God allowed to happen! 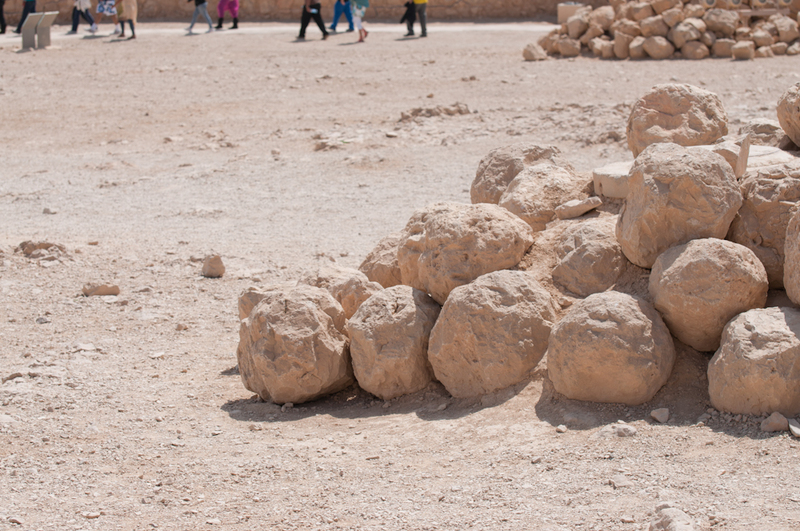 That this many scrolls could have survived through the thousands of years in such good condition is one thing, but the day that they were first discovered, by a Bedouin shepherd boy looking for a lost lamb, is the same day that the U.N declared an Israeli state. God’s hand as never left His chosen people, even when they were scattered from their lands, and their population decimated by the Holocaust. God has a plan and timing for everything. 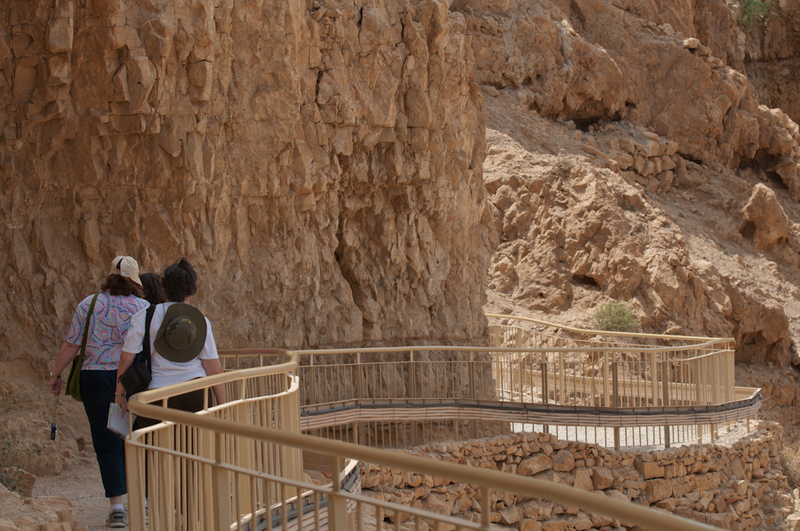 After snapping a few photos of the famous cave, we drove just a short distance to the Dead Sea, where some of our group decided to go floating. There is really no swimming in this sea, your only option is to float on your back or bob like a cork. The water feels thick, too – like swimming in mineral-rich baby oil. Some of the most adventurous of our group smeared the mud all over their bodies – which was beneficial for them, and hysterical for us! 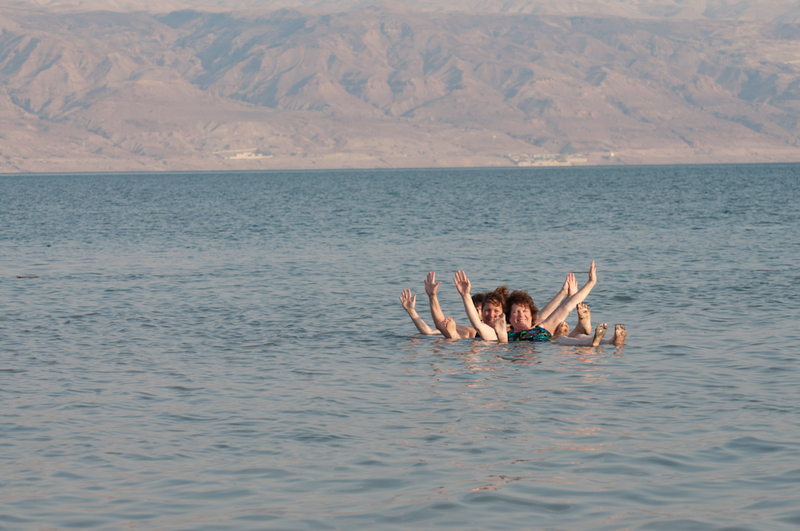 We all enjoyed our time in the Dead Sea – truly, there is nothing else like it on earth. 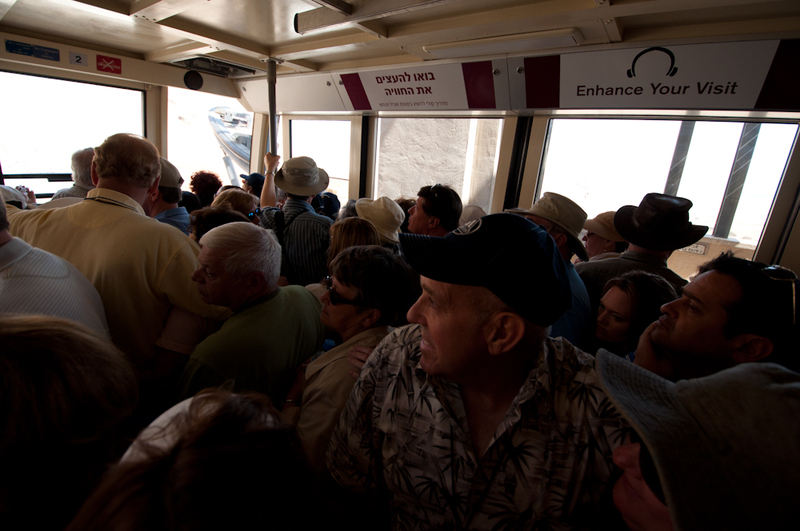 Once we rinsed off all of the mud, we returned to the bus for our drive back to Jerusalem. 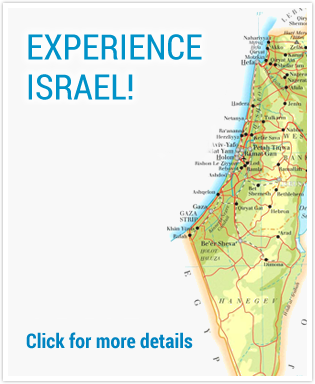 Tomorrow will be our last full day in Israel, and we intend to make the most of it!